The Alaska-based co-producer of Keep Talking, one of four Kartemquin docs-in-progress, and an Alaskan tribal official will fly to Chicago to participate in Kartemquin’s 4th annual Spring Showcase May 1 at the Gene Siskel Film Center. Filmmakers will be present at the Showcase, which will exhibit excerpts from the docs and encourage collaborative feedback from the audience. Three of the four Showcase directors got their start in Kartemqin’s Diverse Voices in Docs (DVIC) fellowship program. 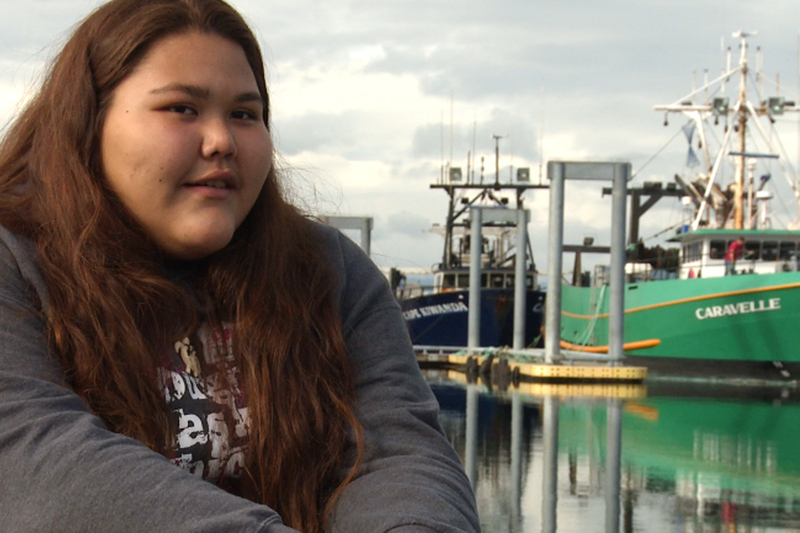 The Alaskan doc, Keep Talking, follows the movement to preserve Kodiak Alutiiq, a severely endangered language with less than 50 fluent remaining Native speakers. Chicago director Karen Lynn Weinberg will be at the Showcase and panel following the sample screening. Joining her from Alaska are co-producer Kari Sherod and Native Village of Afognak Tribal Administrator Melissa Borton. They will answer questions about their community language revitalization efforts and the Dig Afognak camp. Closer to home is All the Queen’s Horses, directed by Kelly Richmond Pope, how Dixon, Illinois comptroller Rita Crundwell stole $53 million from the town over 20 years without getting caught and the effect this had on the town’s governance. Pope, PhD, CPA is a forensic accountant, DePaul University professor and founder of Helios Digital Learning. She met the film’s producer, Raymond Lambert, the writer/producer of doc Phunny Business: A Black Comedy, through Kartemquin’s DVID. The Prosecutors is the directorial debut of Leslie Thomas, the founding executive and creative director of ART WORKS Projects and a recipient of arts grants from prestigious foundations. Her film follows lawyers who have dedicated and risked their lives to prosecute perpetrators of sexual violence in Bosnia and Herzegovina, Colombia, and the Democratic Republic of Congo. Minding the Gap is also the directorial debut of Bing Liu, a Kartemquin DVID graduate. His film considers adolescence and fatherhood and skateboarding by telling the story of two young adults, one whose father is dead and another who becomes a father in the film. The format came from Kartemquin’s own “KTQ Labs: Feedback Screenings” program, a free monthly service at which independent filmmakers present their demos and rough cuts to the Kartemquin community in return for constructive critique. At 164 N. State, 8:15 p.m. Tickets are $11 general admission, $6 GSFC members, and include dessert and wine reception for all attendees in the GSFC lobby.